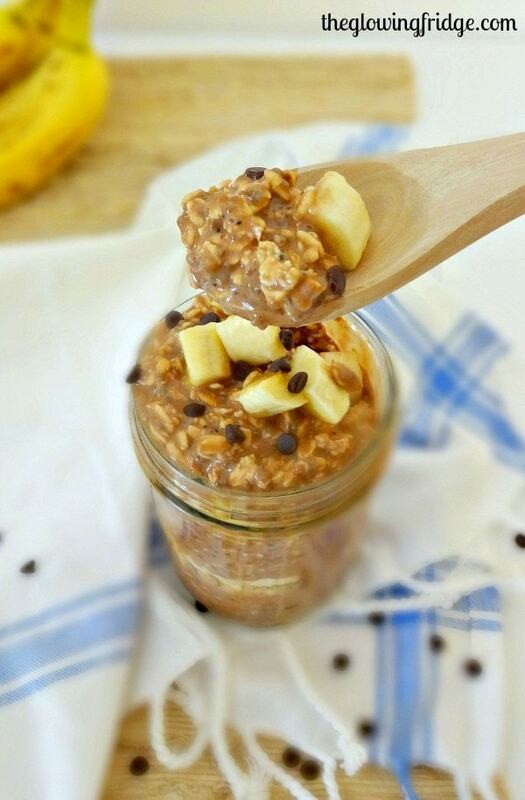 This little jar of chocolate heaven is like eating dessert for breakfast. (but not) because it’s low fat and super healthy. 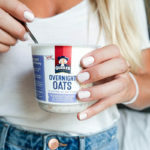 Overnight oats are one of my favorite things to mix up because you can create it to fit your needs for the next morning. Have a long day ahead? 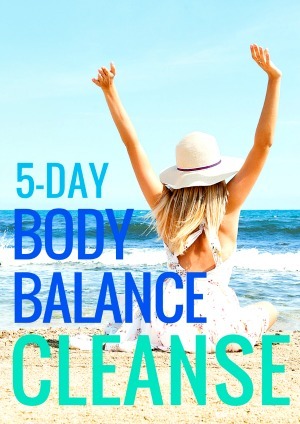 Add chia seeds and maca powder for balanced energy levels all day. 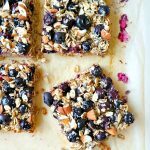 I love adding super foods to everything; many of my recipes have added super foods because why not? 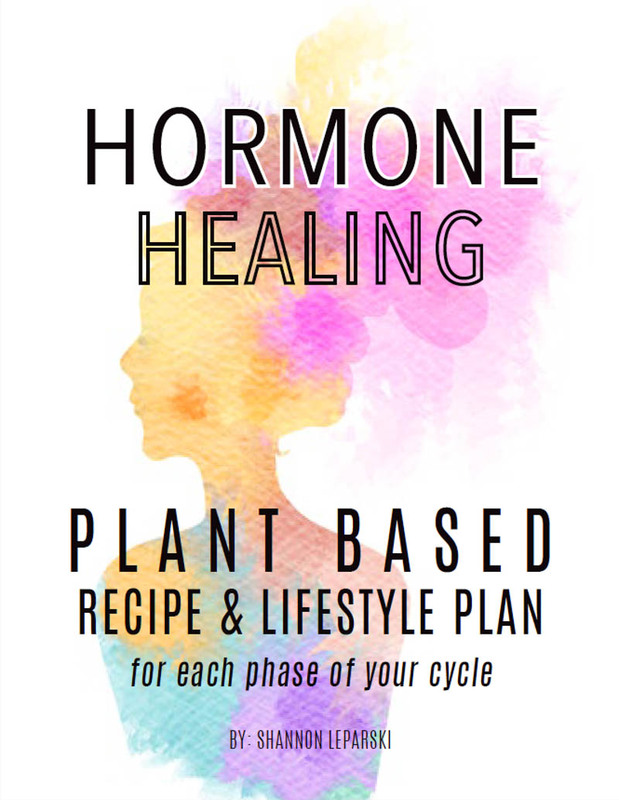 Why not give your body an extra power boost and take advantage of the best foods available?! 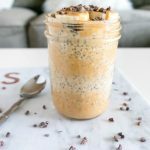 The flavor combo of banana and chocolate is nothing new, but it’s so perfect to have mixed in a jar for breakfast, if you love the combination. 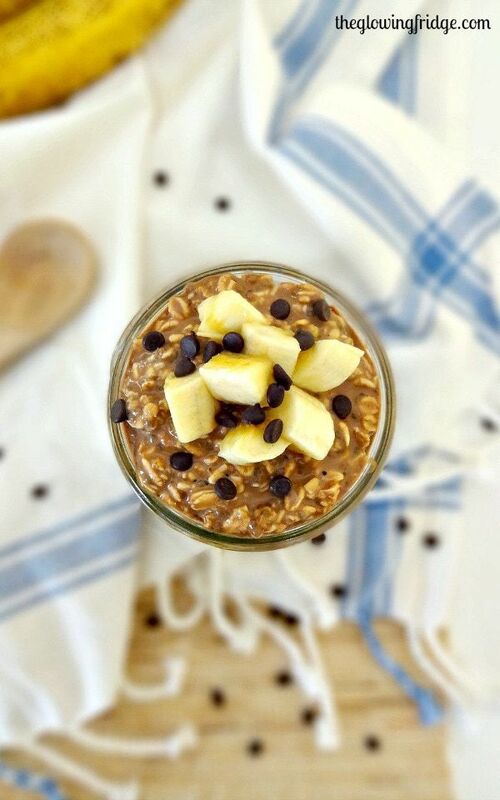 With layers of filling oats, nourishing chia seeds, creamy almond milk, antioxidant-packed cacao powder, sweet banana pieces and warming vanilla extract, this will taste like a morning treat that you very much deserve! 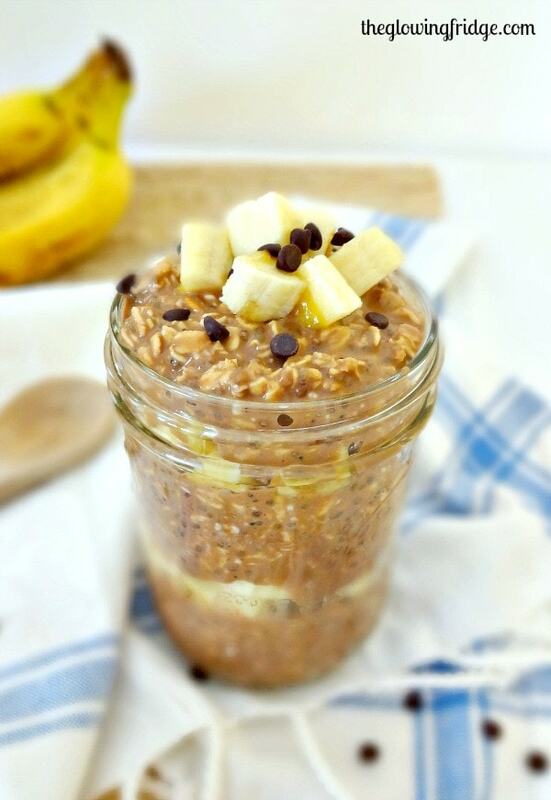 Plus, these Banana Chocolate Overnight Oats let me get away with a healthy, lazy, no-effort breakfast. I’ve been feeling super lazy in the kitchen this week and looking for all the easy outs ha. I’m calling it the winter blues and the “I don’t feel like cooking” lazy mentality. There’s been lots of behind the scenes changes happening here on the blog (all good things!) 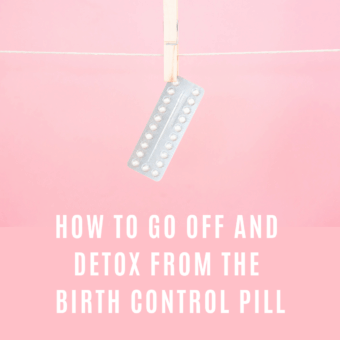 but they seem to bring up new issues (as usual) so much of my time has been figuring out all the little no-fun details that no blogger wants to take care of but are totally necessary to keep the blog afloat, hence the much-needed lazy breakfasts! I try my best to research all that I can and handle most things by myself but I’m no tech genius so sometimes one small issue can take up the entire day. For all you protein-powder lovers, I added a new ‘Chocolate Maca’ sprouted superfood protein powder I’ve been loving, on top of all the other yummy ingredients. 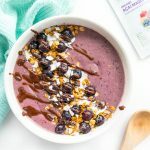 My take on protein powders is this: While I don’t deem them entirely necessary and only eat them on occasion, I do love the super foods and nourishing ingredients they offer. I believe we can get all of our protein needs from whole foods so supplementing with a powder isn’t important to me but I do like experimenting and sharing which ones I think are best. 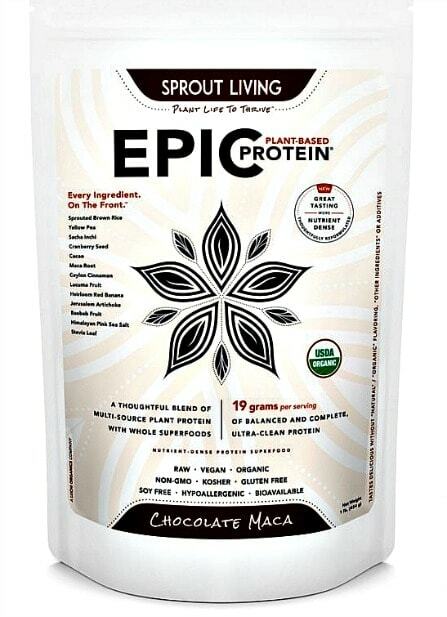 Why do I love this EPIC Sprout Living Vegan Protein Powder? I couldn’t stop saying “Mmm Hmm” while eating this haha – it’s not too chocolately because it is breakfast, but it tastes sinful enough to be a treat. That is a win-win. 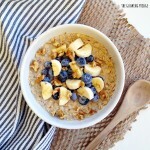 You must try this tomorrow morning! I made this and loved it thank you for sharing! Could you tell me the fat & calorie count? What brand of cacao powder do you use? I’ve never bought it before and when I was shopping today all I was finding was organic cacao powder made by Navitas Naturals. Their powder had a terrifying warning printed on it about the product containing a chemical known to cause birth defects or other reproductive harm. I’m not pregnant but that still freaked me out! Hi Kandice! I use this cacao powder: http://amzn.to/2axcwEB I have never seen that warning before on any cacao powder brand and have never heard that cacao causes birth defects so I’m not sure what to tell you about that but I love cacao and use it often for desserts, oats, hot chocolate etc. from identification theft—ways that you may not have even thought of. Verify them out (no particular order): Evaluate your passwords. Which Maca powder do you get and where do you get it from?? 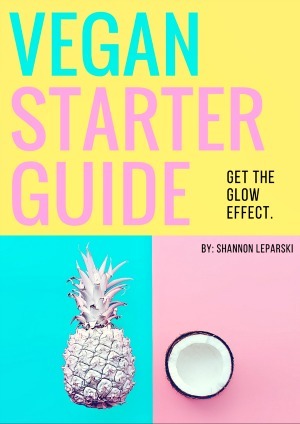 I'm trying to stock up on all the things ive never bought, so the transition to vegan will be smoother for me. 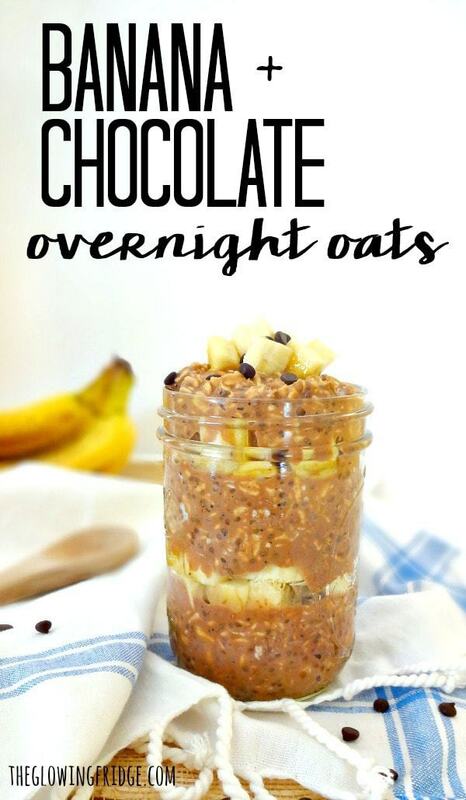 This sounds so good, I have been meaning to try overnight oats for a while but I just don’t know how I feel about cold oatmeal. Would it still be good if I heat it up in the morning? Hey Jackie – I know what you mean, it’s a little strange at first but now I love it. I’m sure you could quickly warm it up over the stove and it would work just fine although I’ve never tried it. 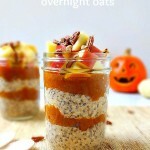 I just like the overnight oats for convenience purposes, less dishes and to get in extra chia seeds for the day. Let me know if you try it! The only time I’ve ever felt oveatcrffeina-ed was when I made some cold-filtered coffee (for iced coffee in the summer) and accidentally used twice as much as I should have. I have never felt so perky for such a long time :DThe cupcakes look great, Katie! This looks sooo good! I am going to make this now so I can eat it in the morning. I don’t have any dairy free choc chips but might throw in some cacao nibs instead 🙂 can’t wait to eat it!